Nervegna Reed Architecture is an award-winning design firm, led by Toby Reed and Anna Nervegna, that works across mediums centred on architectural design and discourse. As an extension to their architectural work in Australian and recent urban master planning in China, their design practice often engages in various design activities such as video installation projects for RMIT Design Hub, RMIT Gallery, Melbourne Festival and Singapore Festival. Nervegna Reed Architecture’s built projects, such as the Arrow Studio and White House Prahran, have been widely published around the globe. 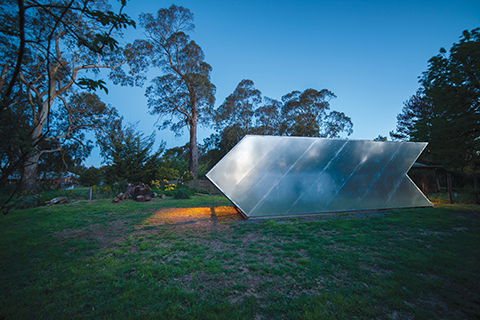 Their Precinct Energy Project (PEP Dandenong) led the way in local green energy production, powering Australia’s first precinct with cogeneration.